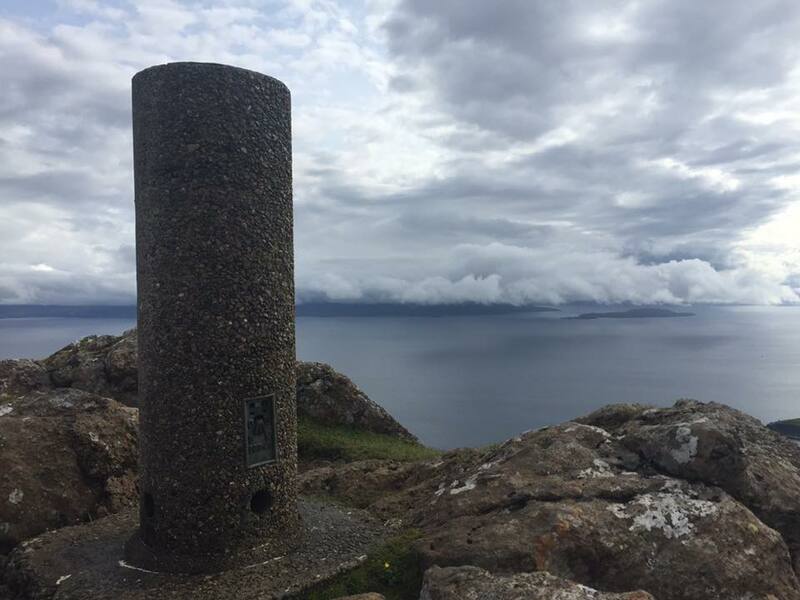 This new addition to our Footloose repertoire includes walks in some of the most remote and wild reaches of the mainland, visiting the Inner Isles of Raasay and Muck on a voyage returning us to our home port of Oban. Embarkation was completed at Admiralty Pier, Invergordon and we reamined alongside overnight. 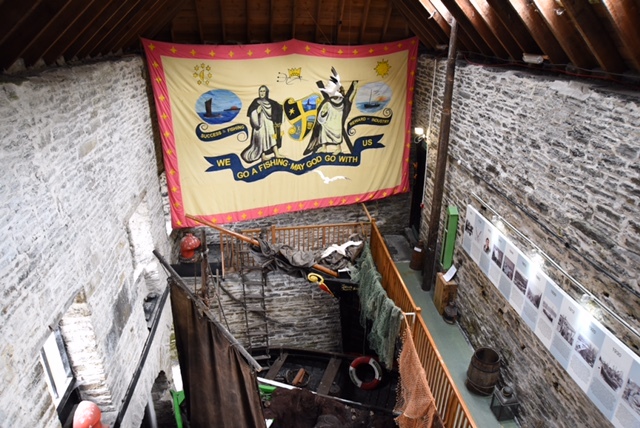 After a morning cruising on passage to Wick, the Footloose enthusiasts enjoyed an afternoon walk at John O'Groats and the strollers visited the Wick Heritage Museum. We anchored overnight in Sinclair's Bay. This morning we arrived in Scrabster where the walkers disembarked for a full day walk at Dunnet Head with a packed lunch. The strollers enjoyed a morning tour of the Castle of Mey and spent the afternoon visiting Mary Ann’s Cottage, a preserved croft built in around 1850 which remains unchanged since the 1930's. We anchored overnight in Loch Eriboll. We spent this morning cruising Cape Wrath on passage towards Lochinver. Following lunch on board we visited Lochinver in the afternoon where the walkers went on an afternoon walk and the strollers visited the Highland Stoneware Pottery and explored on foot. We berthed alongside in Ullapool overnight. 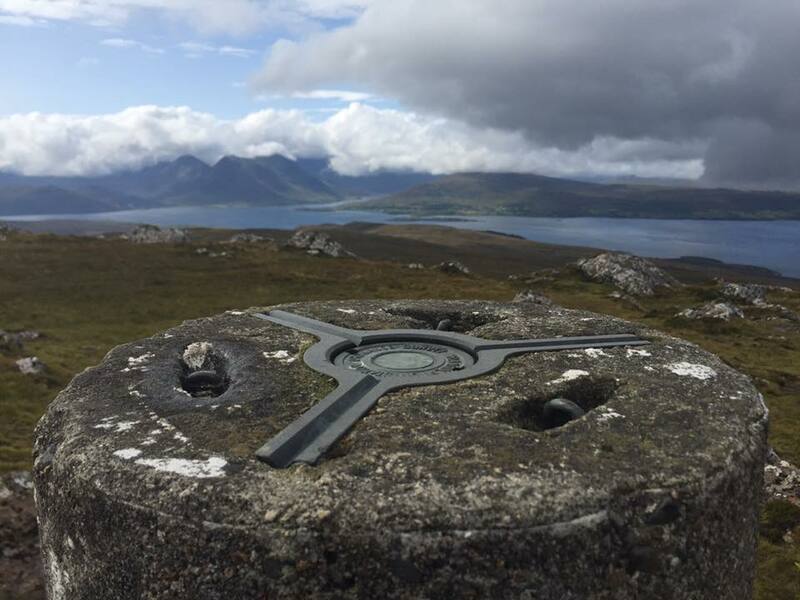 Today the walkers set off from Ullapool for a full day walk to Knockan Crag Nature Reserve and Ardvreck Castle with a hot picnic lunch provided from the ship. During the afternoon the route took them to the Bone Caves. Meanwhile the strollers visited Corrieshalloch Gorge and Measach Falls in the morning and, following lunch on board. they had free time in the afternoon to explore Ullapool independently. Sailing south in th early evening we arrived at our overnight anchorage off the Isle of Raasay. 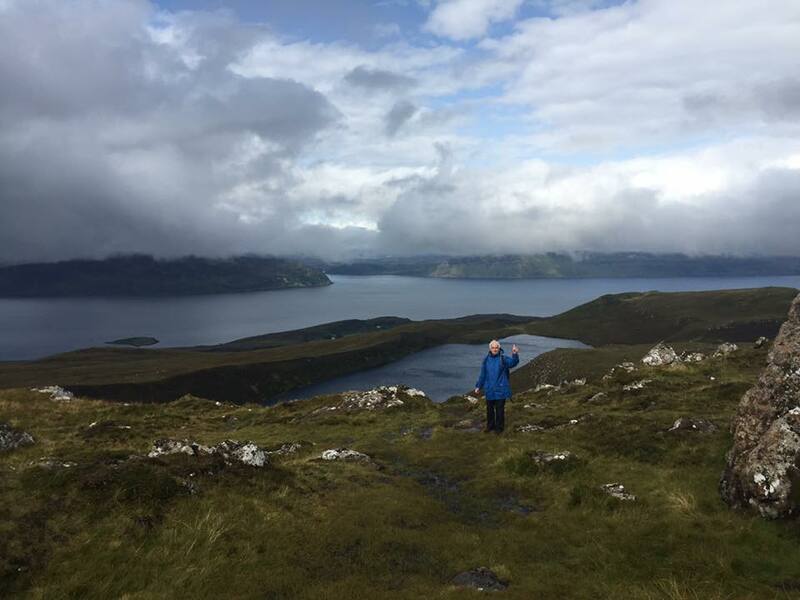 Our Footloose walkers headed for the highest point on Raasay this morning, Dun Caan whilst the strollers also enjoyed walks on the island. Raasay House was open for refreshments for all guests. 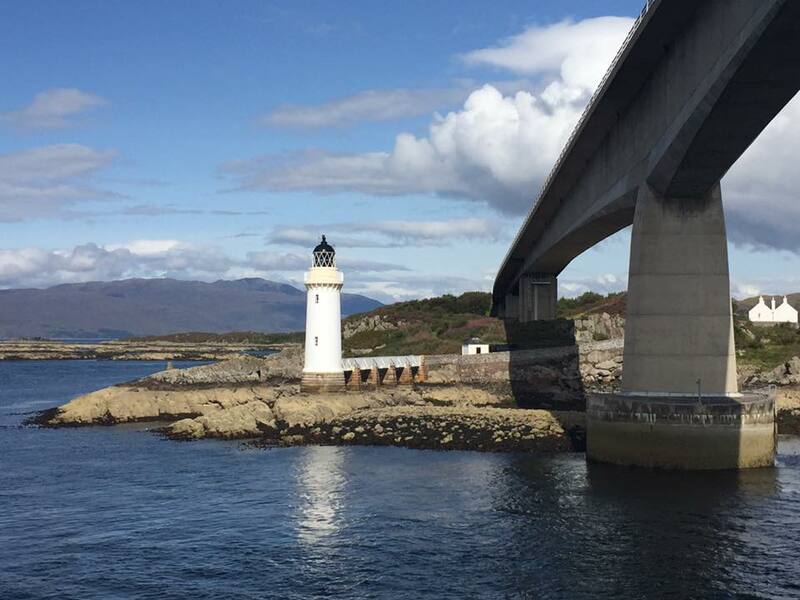 We set sail from Raasay at lunchtime and cruised under the Skye bridge to Kyle of Lochalsh. An afternoon walk was available from Balmacara back to the ship at Kyle. 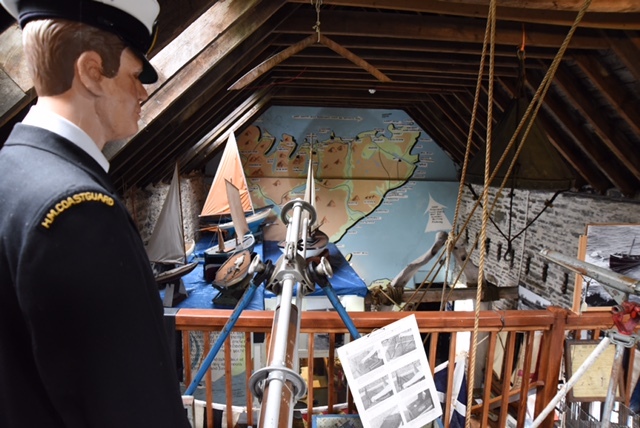 Departing from Kyle this morning we cruised south to Armadale and berthed alongside for the strollers to visit the Clan Donald Centre and Museum of the Isles whilst the walkers strode out for walks in the 40 acres of woodland and gardens at Armadale Castle Estate. The afternoon was spent exploring the Small Isle of Muck on foot. Safely back in Oban, after our summer sojourn to Norway, guests leave 'HP' behind at our familiar home port or The Northern Lighthouse Pier.